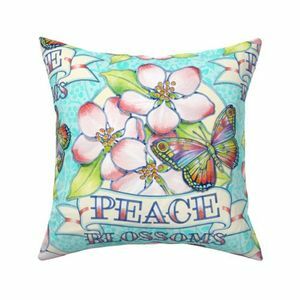 Optional poly/cotton insert: 20"x20" or 26"x16"
The Serama throw pillow, available in both square and lumbar sizes, makes it easy to give your room a fresh new look. This pillow brings a chic and sophisticated splash of color and personality to your space with its lovely 1/2" flanged edge and subtly hidden zipper. Your selected design is featured on the front and back of the pillow. Each pillow is designed by independent designers, from around the world, and printed and sewn in the USA. 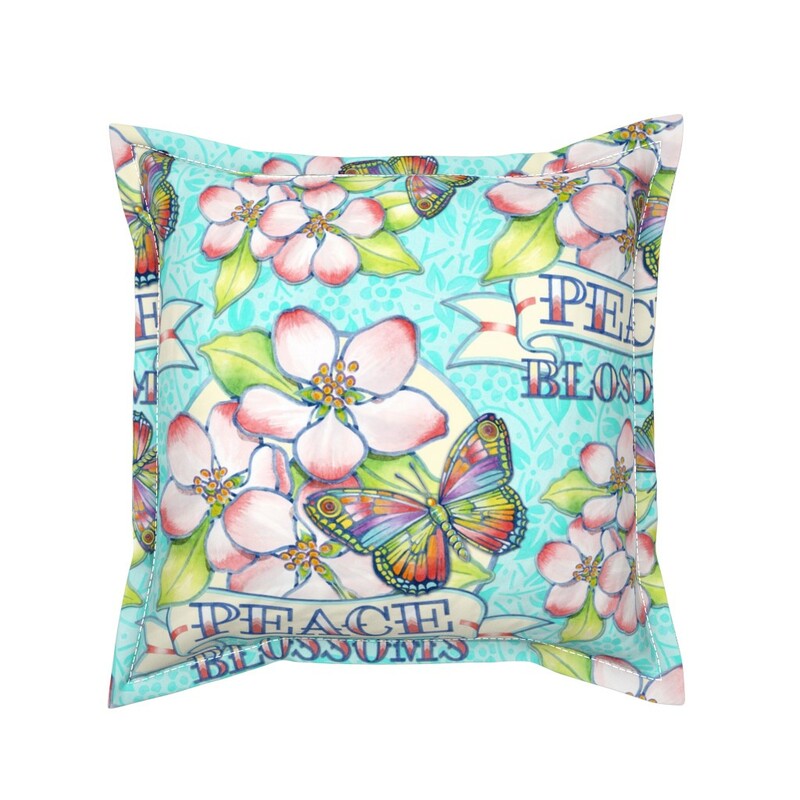 Pillow covers may be purchased with or without an overstuffed poly/cotton blend cushion. 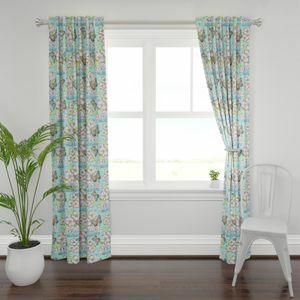 If you choose to purchase the pillow cover only, we recommend a 20" x 20" insert for the square cover and a 26" x 16" insert for the lumbar cover. Apple Blossoms, Butterflies and Rainbows are all traditional symbols of peace so I combined them in my design entry for the tattoo challenge. Silky Faille - Bright, silky and soft. All-purpose pillow option with a durable finish. Best suited for all over color and dark designs. Eco Canvas - Durable, bright and washable canvas. Great for high traffic family spaces. 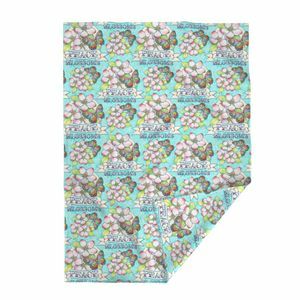 Organic Cotton Sateen - Lightweight 100% organic cotton with a subtle luster. Lovely natural option for any space. Linen-Cotton Canvas - Unique natural texture with a matte finish. Great for both cozy and formal seating areas. Cotton Canvas - 100% natural cotton canvas featuring a sophisticated basketweave structure. Incredibly durable and soft.